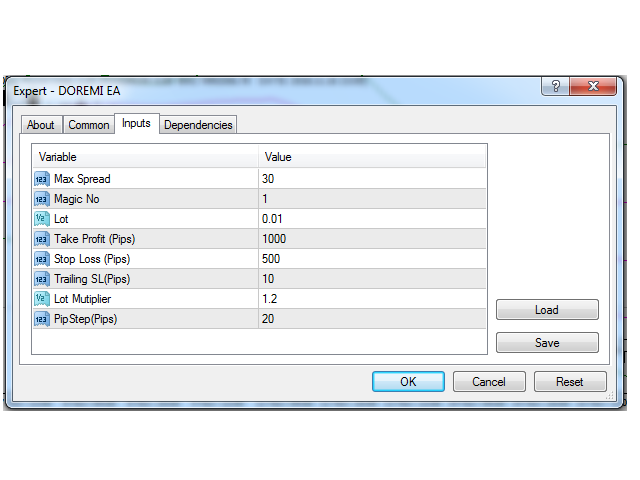 DOREMI EA is a fully automated Expert Advisor designed for major currency pairs with maximum spread of 30. It was developed based on our own special algorithm while minimizing user capital risk. Max Spread: maximum spread this expert allowed to open new trade. Default is 30. Magic Number: trade special number. Default is 1. Lot: trade position size. Default is 0.01. 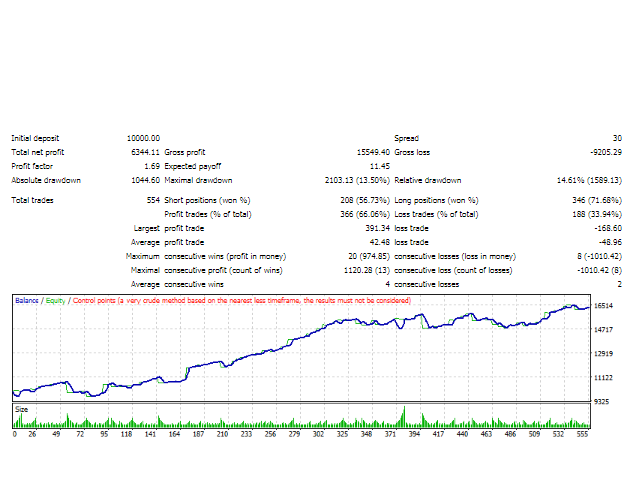 Take Profit: default is 1000 pips. Stop Loss: default is 500 pips. Trailing SL: expert will trail with stop loss total trades in profit. Default is 10 pips. Lot Multiplier: expert will open new trade with lot size of multiplication of the previous lot. Default is 1.2. Pip Step: expert will open new additional trade after the previous entry in losing of more than set pip step. Default is 20 pips.